When a client asks if he or she had any famous past lives, I’m usually obliged to tell them no. Most past lives don’t make it into the history books—even if the person was remarkable or well known at the time. And sometimes the client who thinks she went down with the Titanic is recalling a similar experience somewhere else. It began a few months back when a friend of Kate’s invited her to one of my past-life regression classes. When the lines opened up after the regression, she told me what she experienced. 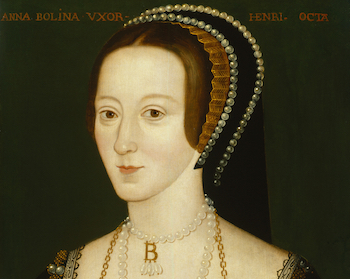 A quick reminder here: Anne Boleyn was the second of King Henry VIII’s six wives. In 1536, after failing to provide him with a male heir, she was beheaded in the Tower of London on a variety of trumped-up charges. She left behind a daughter, Elizabeth, who would eventually become Queen of England. This was the little girl who was taken from her. Kate has decided to write a book about Anne Boleyn, one that will take a uniquely first-hand perspective on her life and death. Famous past lives may not turn up very often, but when they do, being able to relate present-day issues to documented facts can be illuminating. For Kate, her destiny is tied to her past life as Anne. By writing her account of what happened, she will heal herself, and give valuable insights into the mind of one of history’s more intriguing characters (not to mention that of her ruthless husband, Henry). Click here to learn more about how you can schedule a psychic guidance session with Ainslie and his Spirit Guides to help reveal your past lives. While you may not uncover any famous past lives in your history, Ainslie can identify the traumatic events from previous incarnations that are holding you back in this lifetime from living the life your soul intended! Why are Past Lives So Awful? Absolutely amazing! I can not wait to read Kate’s book. Thank you Ainslie for the genuine respect and compassion you offer every person you encounter. Bless you! Thanks, Terese. I’m excited about Kate’s book, too. And thank you for the kind words. Very much appreciated. Fantastic! I have long been obsessed with Tudor history and eagerly look forward to Kate’s book being published and reading Anne’s perspective. I’m sure the history books got it wrong. It will certainly give a perspective on Tudor history that’s unique! Thank you, Ainslie, for helping me embrace this. Funny you should ask. I am writing the final three chapters right now. My Spirit Guides keep assuring me that when the book is complete, its publication will take care of itself. Each time I get writers block, it is always when I stop trusting them. A good lesson for me. So let me flip back to my manuscript and finish writing what they are supporting. I promise you that the Soul World will be kept apprised before anyone else when this happens. Interestingly, I just had a past life regression and I guess there must be 2 reincarnated Anne Boleyn. Did her soul split? I’m curious if you have knowledge of your other past lives before or after Anne. I’m also curious as to what all the Anne reincarnates look like… I look very much like my most previous life. I’m looking faward to reading this book ? Dear Kate, I can’t wait until the publication of your novel. 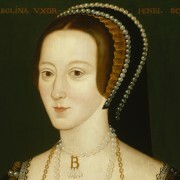 And does it also contain ‘a hint’ as to which portrait represents Anne Boleyn the most? Kind Regards! Oops! I assumed it’s a novel! So very sorry. Your book, of course. Is the book already released? I’d love to read it! Anne Boleyn is my favorite member of the Tudors followed by Elizabeth I; hope I can see soon things on a “different perspective”, from what is told on History books. It’s not published yet, but I’ll let you know when it is. The first draft manuscript is finished and being revised! But I am moving forward. As a first time author, I admit I was surprised at how long a process this can be, but I will not give up! The members of Ainslie’s Soul World will be the very first place I announce the publication! just because she was devastated about losing her daughter doesnt mean that she was anne boleyn. that scenario has played itself out thousands of times in history. Lots of people claim to be Anne Boleyn, is this just a canny way to plug a book? I wonder if Kate had any of the traits that Anne displayed or if she had any connection when visiting Anne’s childhood home, Hever Castle – like others who have claimed the same thing. Kate has an immaculate sense of integrity. I think you’ll enjoy her book. Exactly. I had a past life regression. The year 1500 came up very big. Then a lute. I was a child in France. I saw my long brown hair lying on the ground, my blood soaked gown. My neck has been aching ever since. I have many of her personality traits, singer, dancer, play the guitar. Who knows? One more, before I knew her date of execution I was very depressed on that particular day, then I stumbled upon it when I read a Facebook post. The date was May19.